I told you I would be back to Paintbox for another nail art mani - and here it is! 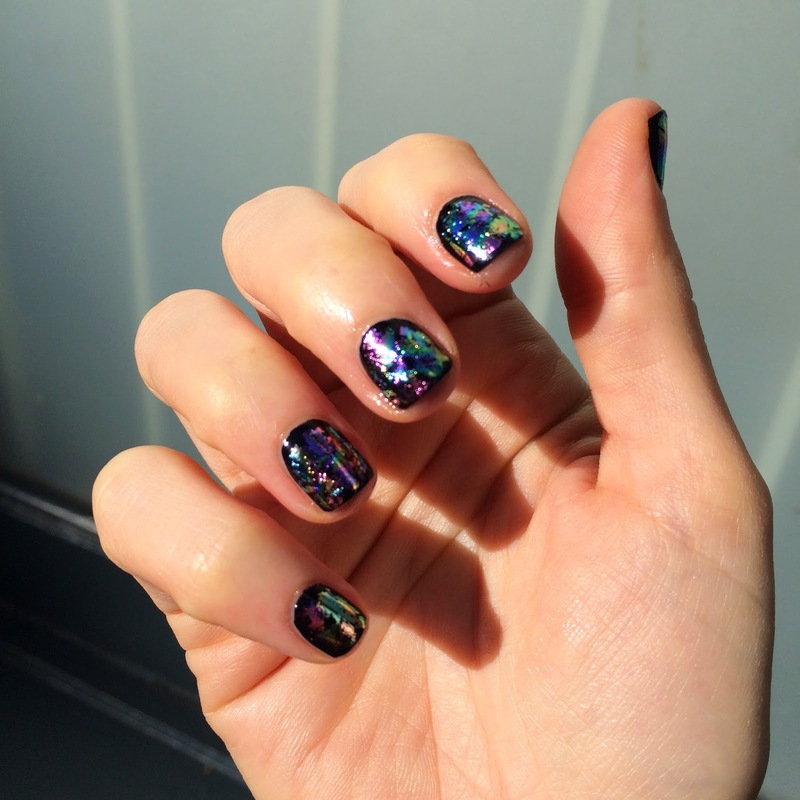 This oil slick inspired foil mani is absolutely stunning. I've been staring at my nails non stop ever since I left the salon. And in the sunlight, they look even more amazing. If you are in NYC or next time you visit, I highly recommend adding a stop to Paintbox on your itinerary. And then tweet me a pic of your nails! I always need ideas for my next mani.